News in Proteomics Research: Inductively Coupled Plasma (ICP) -MS for Proteomics stuff! Hey! What's this thing? 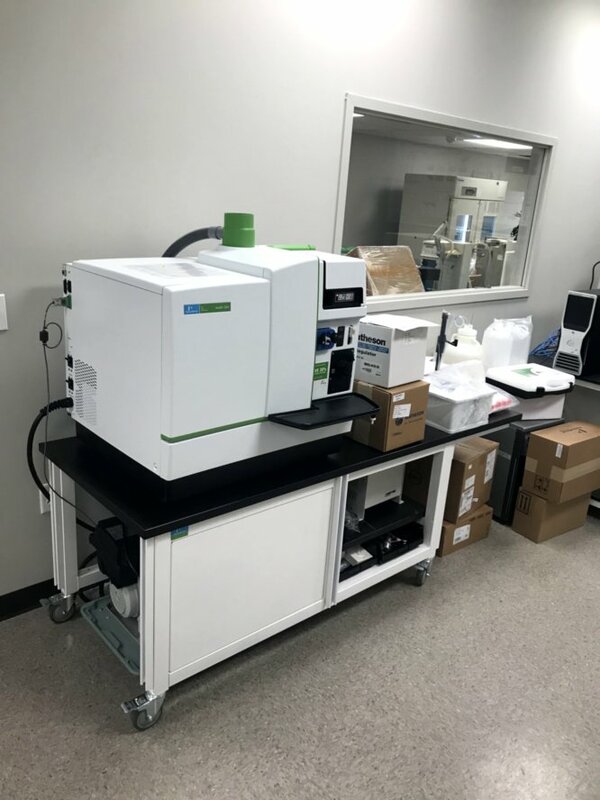 This is my INDUCTIVELY COUPLED PLASMA MASS SPEC thing that is being installed on Monday! What does it do? It uses a frickin' argon plasma beam to convert anything (even metals!) to gases and then basically uses unit resolution to tell the elements apart. It's pretty sensitive -- this white paper tells you how to set up an older model than mine (!!) to quantify how many molecules of cisplatin (a chemotherapeutic that has Platinum in it) are in each individual cell by turning each whole cell and into gas phase primary elemental components and measuring the Pt signal). ...look how cool that guy is! He can play Mario Kart on a fake airplane (where is the other seat!??!) with his Switch! That could be me, I just have better hair. Sorry ElfSeverer....I'm going to read some other papers and -- whoa -- this is almost related - check this great new study out! We use a lot of metal based drugs in the clinic. And we use them cause they kill cells we want dead. However, just like everything else out there, we often don't know the whole story. Here, this team is interested in the mechanism of action of Plecstatin -- which isn't active until it's metabolized -- making the mechanism of action tougher to work out. New drugs based on ruthenium and osmium are kind of important. They sample at multiple time points and use a load of techniques to figure out what is going on with this drug. All the ICP-MS is in the discussion and it sounds like it was used previously cause you can track the Ru easily with that technique. What they do here is pull-down shotgun analysis with a Q Exactive using biotin labeled Plecstatin-1 and activated drug. They do some further stuff where they modify the drug and repeat to try and figure out the important parts of the drug toward the mechanism of action they're interested in -- and how it changes over time and it appears to point to specific bonds as critical! Metabolomics of hibernating (arctic) squirrels! PhoX -- An IMAC enrichable crosslinker!! What is the "software crisis" in bioinformatics?